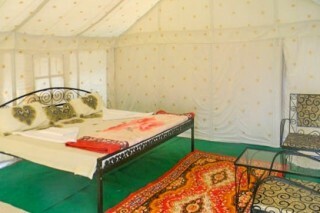 This is an offering of a private room in a tent which can accommodate up to three people. 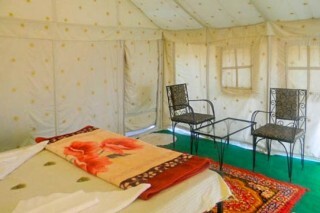 This accommodation is perfect for a quiet retreat. 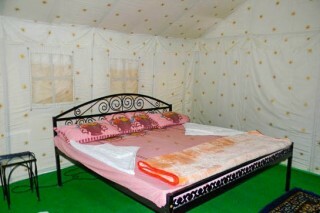 Breakfast is complimentary here, and all the meals can be prepared on request. Bonfires can be arranged on request. 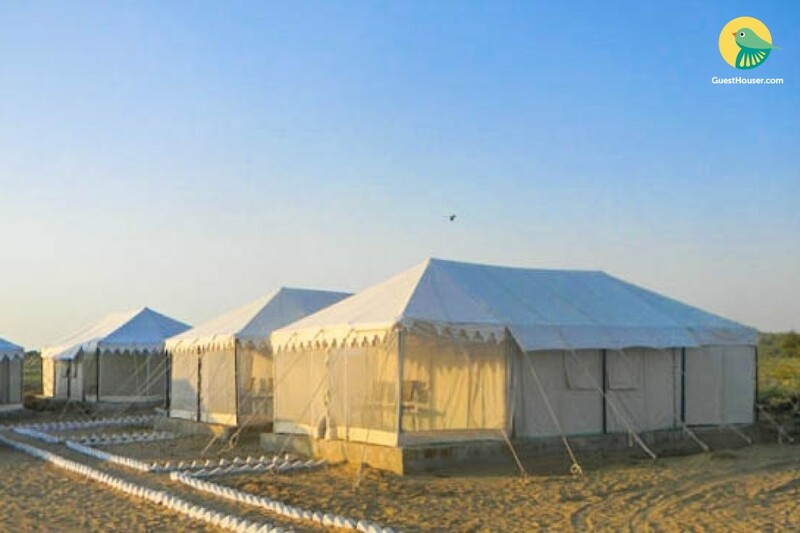 Your Space Nestled amidst the sun-kissed Thar Desert, this abode offers a carefree retreat away from the hustle and bustle of the city. 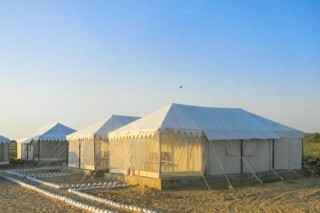 Surrounded by the tents is the fire pit seating where you can enjoy a fun bonfire with the fellow travellers. 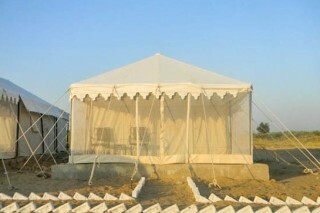 The tent on offer flaunts fabric upholstery and wall-to-wall carpeting. It is furnished with a wrought-iron bed, a bedside table, a couple of complementing chairs, and a glass-topped coffee table. 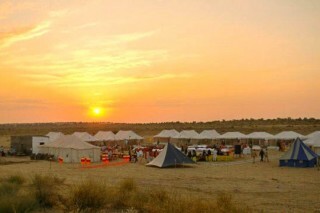 You can take a camel rides deep in sand dunes and watch breath-taking sunsets and sunrises. 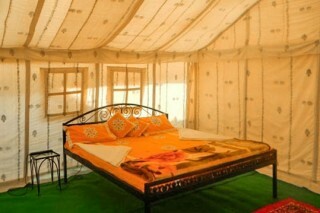 Never stayed at a desert camp. And my first experience was quite great.